Why should you pick butterfly wedding invitations? 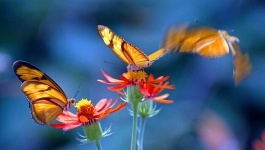 The butterfly symbolizes rebirth, happy beginnings, beauty, hope, and renewed freedom. Butterfly wedding invitations are a great way to start a new journey together. The butterfly is an attractive character–full of color and exotic shape. The symbol of the butterfly has unique significance that most people don’t know about, and is used in Chinese and Japanese cultures to capture marital bliss for young maidens. as a symbol of young men in love according to the Chinese and in Japanese culture a representation of young maidens and marital bliss. The butterfly is also associated with the god Eros in Greek myths. The almost unending assortment of colors available with butterfly wedding invitations also makes your invitations unique. Rather than using some drab, over-used concept, you can add individuality that lets people know “you” sent the invitation. The concept need not end at just butterfly wedding invitations, you can incorporate this graceful creature into your wedding day designs. You can make decorations for the table settings such as butterfly: confetti, candles, glasses, plates, or little vases and pots decorated with butterfly pictures. (Again, the symbol of the butterfly is what we want to recognize–not just a pretty image). You could set up each table with a different colored butterfly to individualize each place setting E.g. name card holder, ribbons, etc. Since you’ve sent out the butterfly wedding invitations, and utilized the theme in your place-settings…why not integrate the concept into your food? Butterfly cookies are a special little treat for the children. Cookie cutters come in all shapes and sizes for your plans. While the guests on your special day will be thinking you’re obsessed with butterflies, be sure they know that you’re attempting to mark the special occasion with a theme of freedom, and embarking on a new journey–not that your obsessed with the insect itself. Butterfly wedding invitations come in all sorts of designs if you’re buying the premade variety. They typically start at a few dollars, for basic designs…or you can spend hundreds on very elegant designs that are sure to please. You can search online for templates if you’re opting to make them yourself. For those of you who have read this far, and think the concept of butterfly themed wedding are crazy…there are literally thousands of couples that have started to utilize the concept over the last few years. Again, for the symbolism surrounding the butterfly, as much as the beauty and variety that you’re afforded. So pick yourself out some beautiful butterfly wedding invitations today, and start to plan a life filled with beauty, hope and start your happy beginning today. I think butterfly themed weddings is really a nice concept – aside from the colorful hues that the butterfly have, I also love the meaning associated with butterflies for weddings.